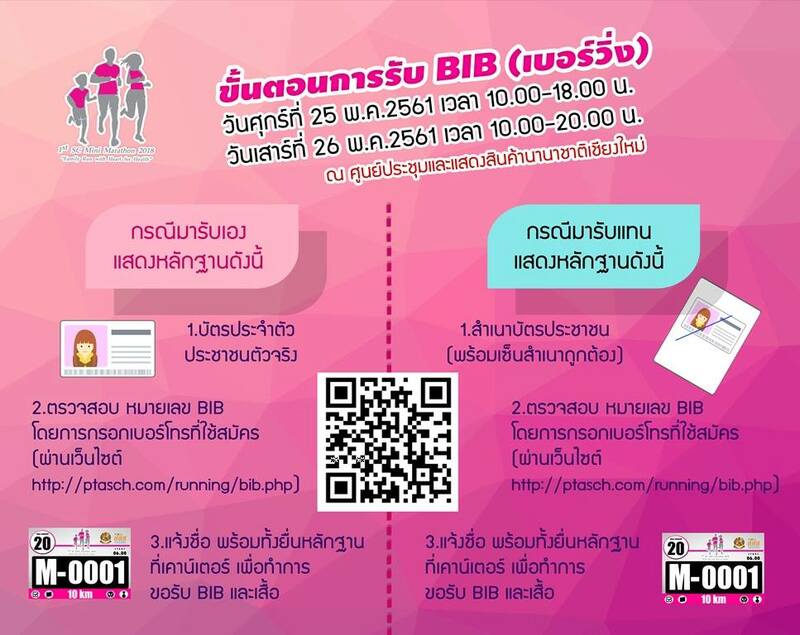 1st SC Mini Marathon 2018 "Family Run with Heart For Health"
Get T-Shirt at Chiang Mai Convention and Exhibition Center. On Friday 25th May, 2018 at 10.00 A.M.- 6.00 P.M.
On Saturday 26th May, 2018 at 10.00 A.M.- 8.00 P.M.
2. 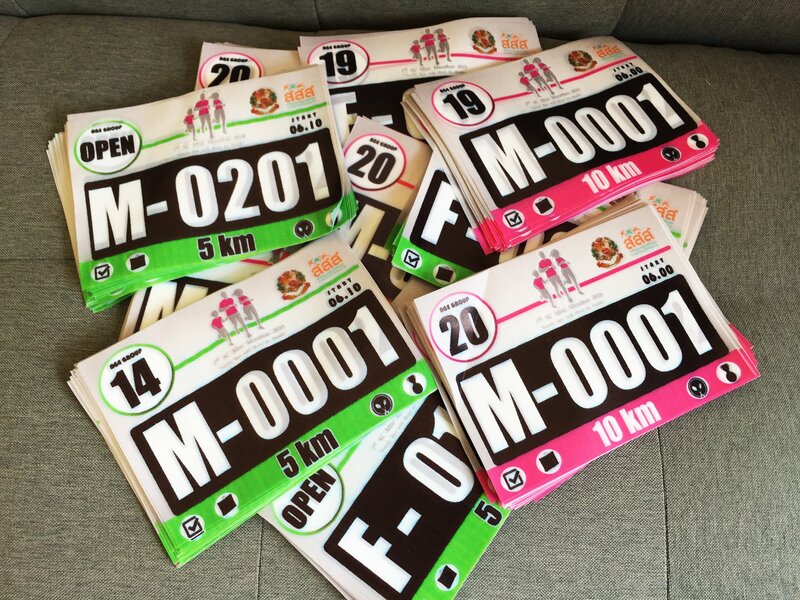 Runners please prepare ID card and BIB number for approval and queue by the type of running.